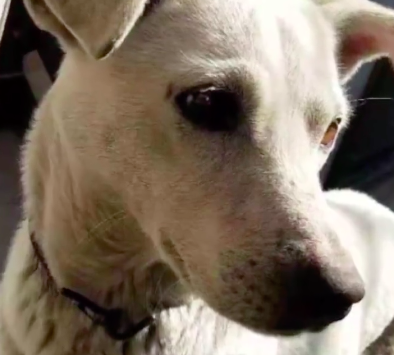 A seven-year-old dog in Henan province, China, recently tried to stop its owner from marrying her husband by sitting in front of her house. Sin Chew Daily reported that the groom was attempting to gatecrash his bride's house – a longstanding tradition of Chinese weddings. 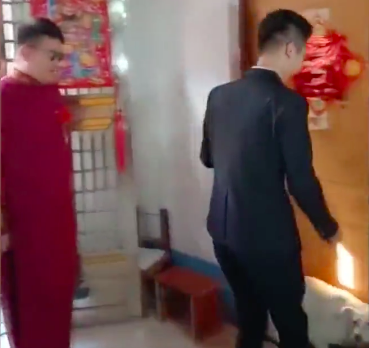 However, the man and his groomsmen were blocked from entering the room by the dog. "I walked towards her main door and there it was, blocking the door to stop me from entering," the groom said, according to Sin Chew Daily. The man added that the dog had never been hostile to him before his wedding day. "He's usually scared of loud noises such as fireworks, and there were fireworks on my wedding day," the woman said, according to On.cc. "He usually runs inside whenever he is scared, but he didn't do it that day... He stopped being scared," she added. Sin Chew Daily reported that the dog kept running back to the door despite being carried away twice. The gatecrashing ceremony finally went on after the bride's father locked up the dog in the family's house. 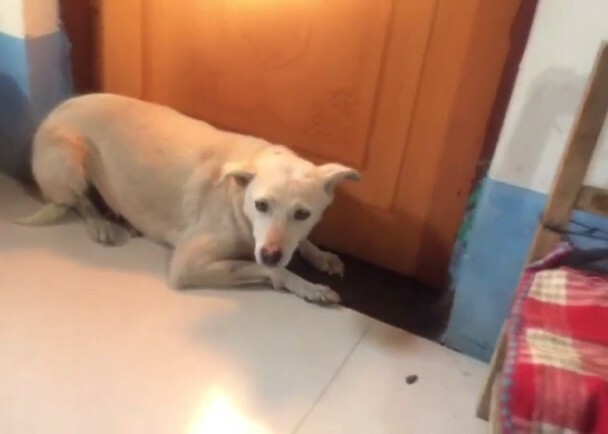 Asha was running away from stone-throwing kids when police officers found her. Goose the cat has captured hearts across the globe.